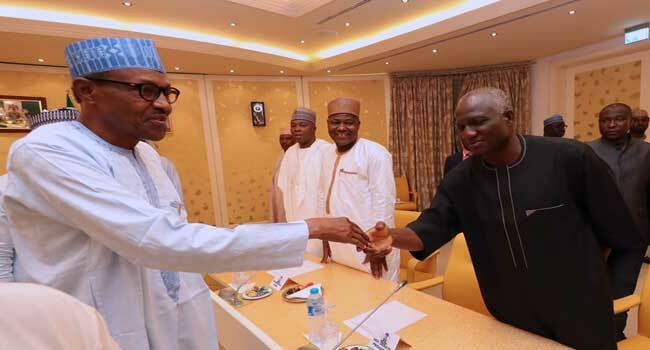 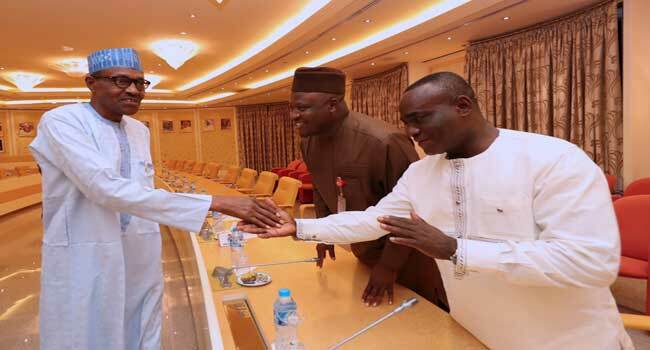 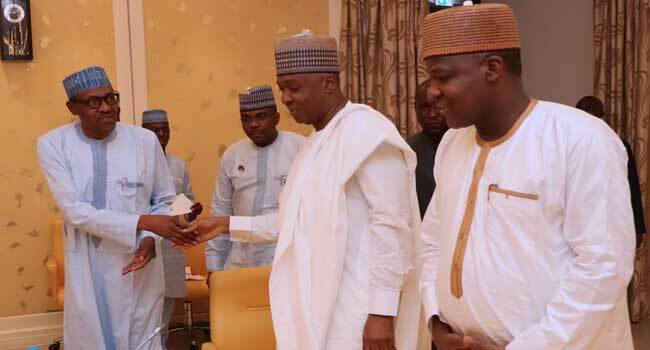 President Muhammadu Buhari shakes hands with the President of the Senate, Dr Abubakar Bukola Saraki, while the Speaker of the House of Representatives, Mr Yakubu Dogara, looks at the State House in Abuja… on Thursday, March 15, 2018. 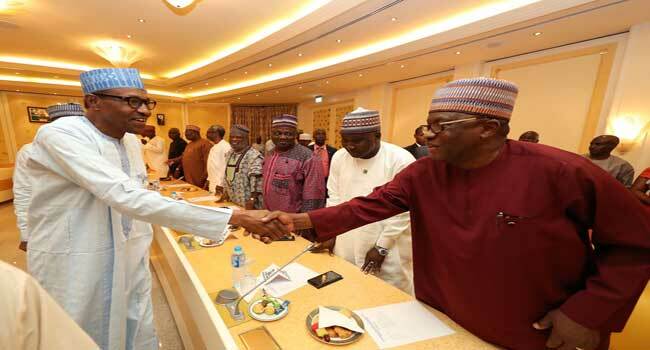 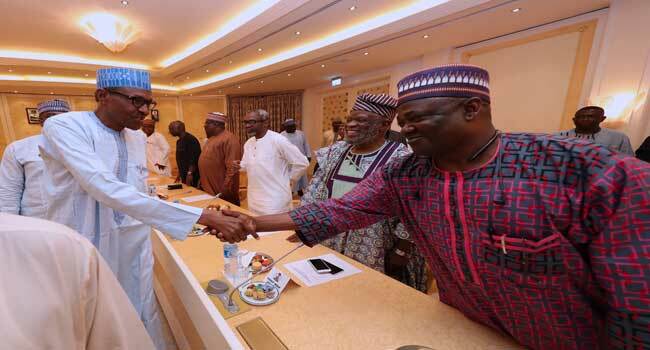 President Buhari on Thursday night held a closed-door meeting with the leadership of the National Assembly inside the Presidential Villa. 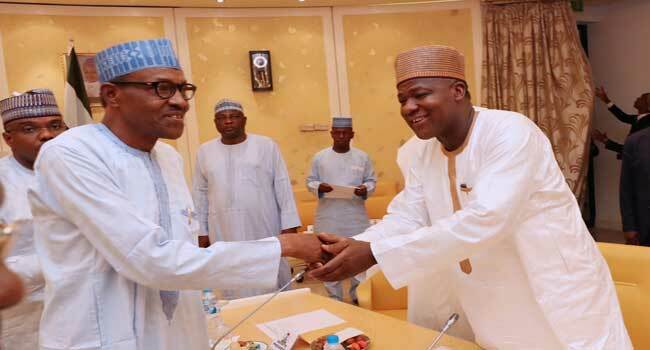 Senate President Bukola Saraki and Speaker of the House of Representatives Yakubu Dogara led the principal officers of the National Assembly to the meeting which started just after 9 pm and ended more than one hour later. 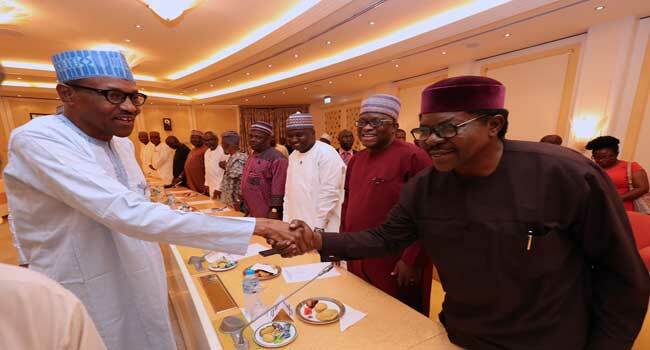 It, however, comes two days after the President declined to sign the Electoral Act Amendment Bill passed by the National Assembly into law. 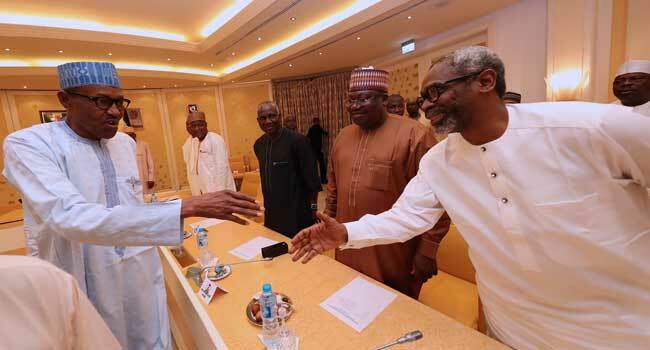 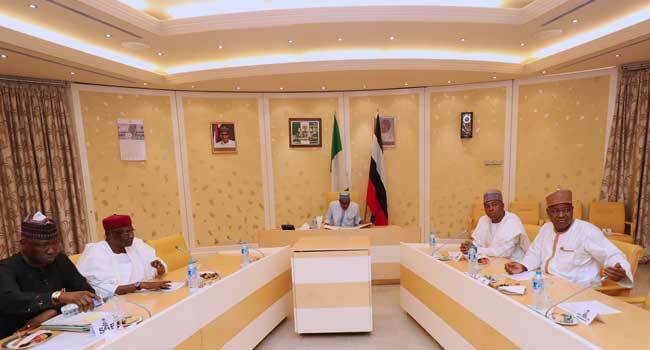 Apart from the Senate President and Speaker, others at the meeting are the Senate Leader, Ahmed Lawan; Deputy Speaker of the House of Representatives, Lasun Yusuf; House Leader, Femi Gbajabiamila; and Senator Sola Adeyeye. 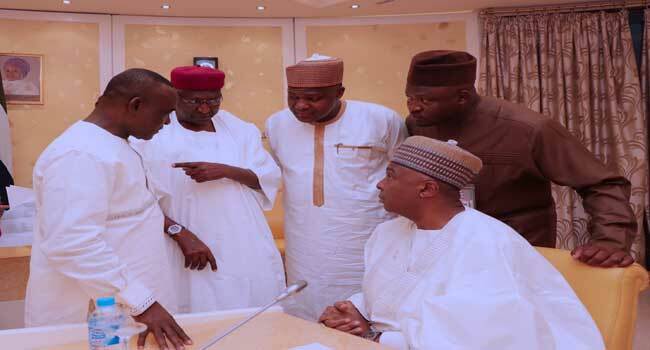 The Chief Whip of the House of Reps, Al-Hassan Dogowa, Deputy Whip, Pally Iriase, and Philip Aduda and others. 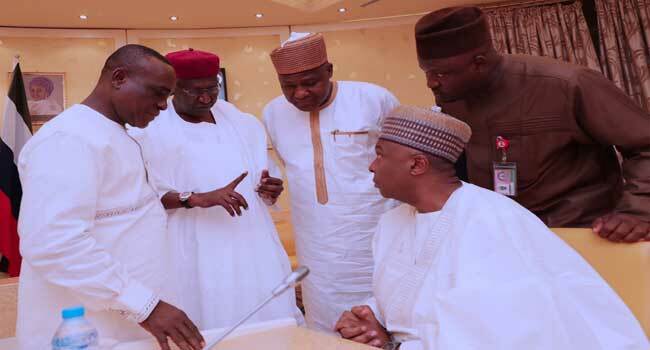 Apart from Aduda no other member of the Peoples Democratic Party was present with the Deputy Senate President also absent.